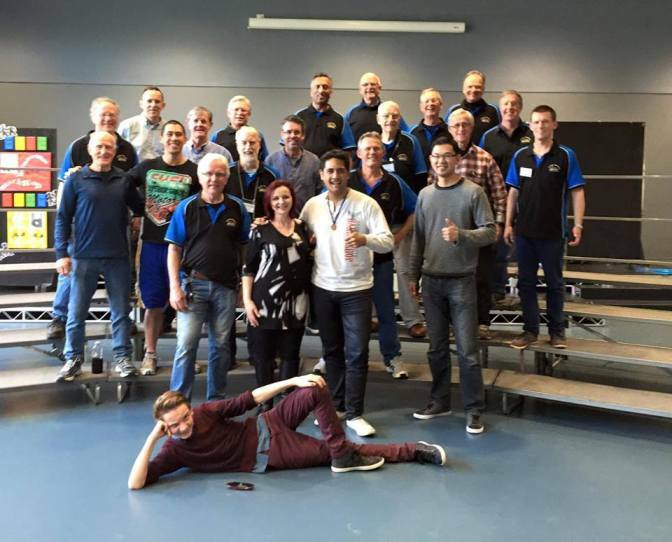 We are thrilled to have achieved our highest score in recent history at the Barbershop Harmony Australia Eastern Region contest this weekend! 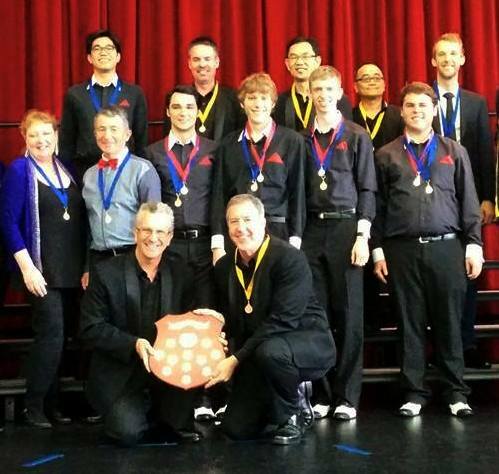 Congratulations to Vox Canvas on their win, to our sisters in harmony Circular Keys Chorus and Alouette Quartet for taking out the Invitational contests, to our Assistant Musical Director Gareth Hearne and his quartet Helix for winning the Gold and to our guys The Steamed Hams for scoring the Silver medal in the Open Quartet comp on their contest debut! Awesome results, great singing and much fun had by all! 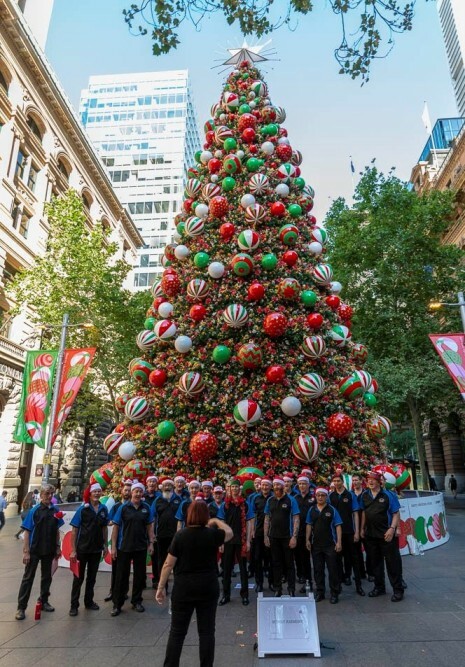 We had a wonderful time singing to the crowds gathered at the giant Christmas Tree in Martin Place on Monday evening. 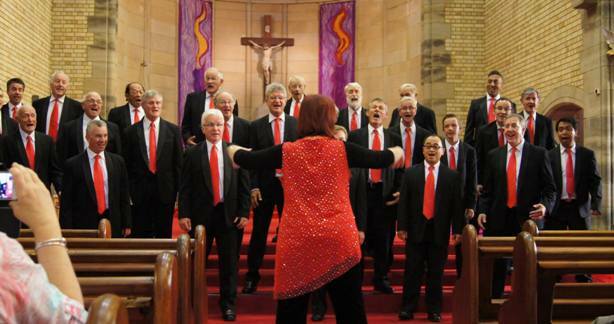 Thanks to the City of Sydney for inviting us to perform in this year's "Choirs In the City" program. We're looking forward to taking part again next year! 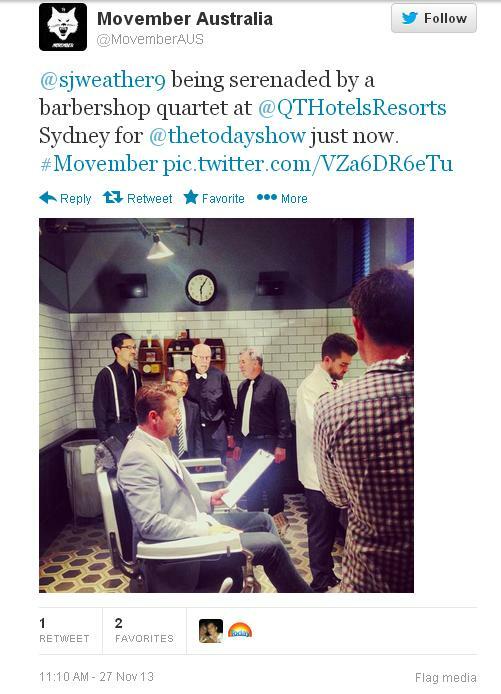 Sydney HarMOny Team For MOVEMBER! We're raising funds and awareness this Movember for all the dads, brothers, sons and mates in our lives. 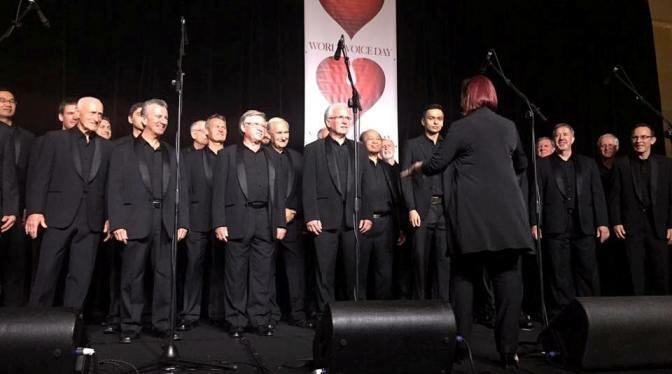 Sydney Harmony is dedicated to help raise awareness of Men's health issues by promoting the positive physical and mental health benefits of singing. We need your help. Please donate to support men's health. Sydney Harmony's Gareth, Guy, Vicki and Tony (aka Alter Ego quartet) added some trad barbershop flavour to the Movember 2018 media launch for Movember Foundation Australia at Madame Tussaud's Sydney on November 1st. 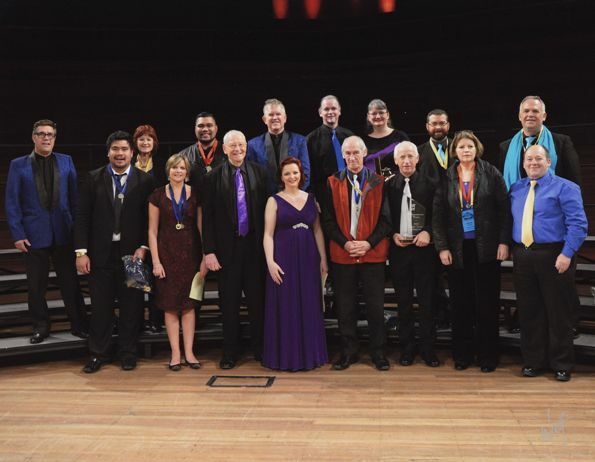 RUNNERS UP AT THE AUSTRALASIAN OPEN CHORAL CHAMPIONSHIP! 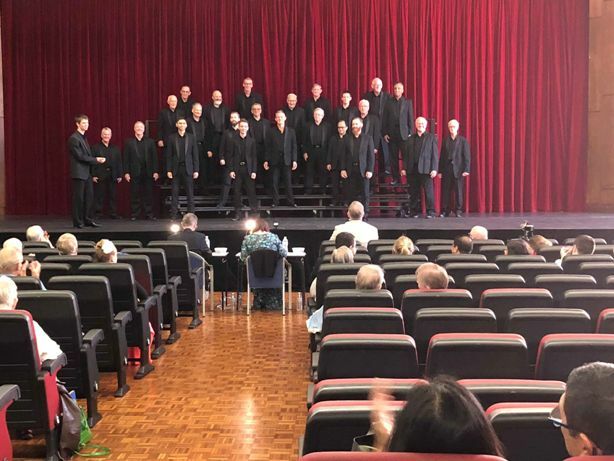 Sydney Harmony was awarded 2nd Place in the Sydney Eisteddfod Australasian Open Choral Championship on Sunday 24th June at the John Vallance Hall at Sydney Grammar School. We are absolutely over the moon with the result! A huge thank you to everyone in our team and particularly to our Musical Director Vicki Dwyer and our AMD Gareth Hearne for getting us "there". 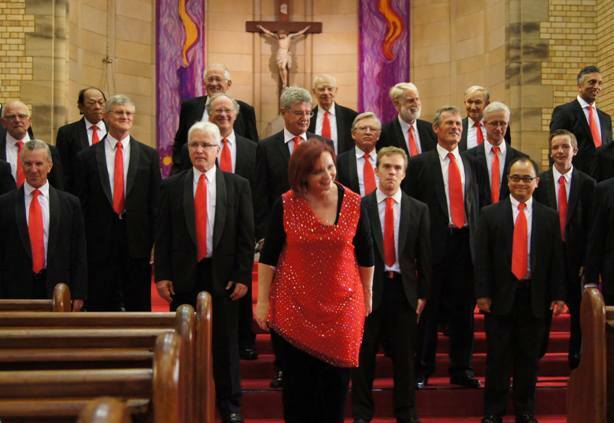 AUSTRALASIAN OPEN CHORAL CHAMPIONSHIP FINALIST! 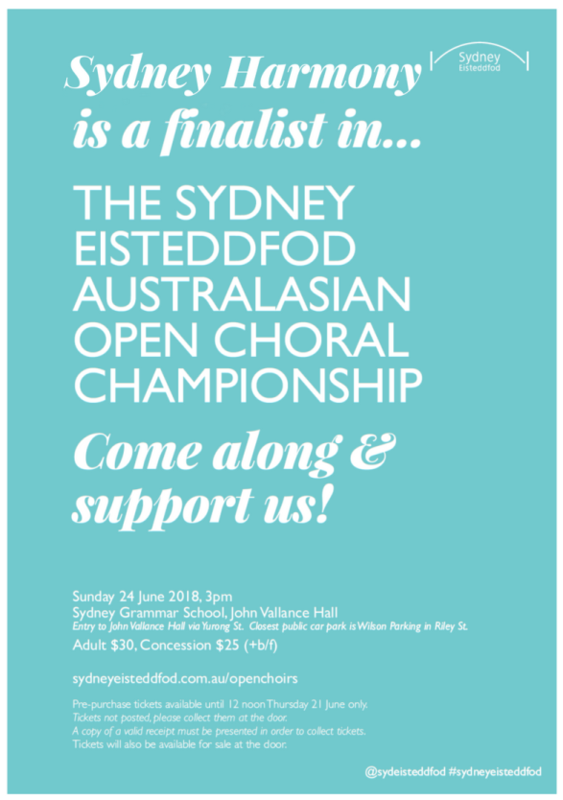 We are thrilled to have qualified for the final of the 2018 Sydney Eisteddfod Australasian Open Choral Championship after placing 3rd in the Sydney Eisteddfod Community Choir event! 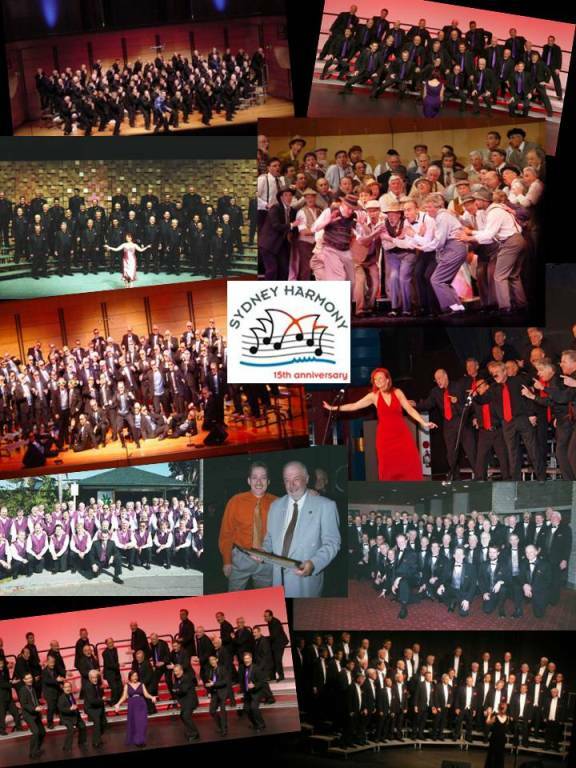 We will be joined on the contest stage by some of the best choirs and choruses in the region, including our sisters in barbershop harmony Circular Keys Chorus, Endeavour Harmony Chorus, Northern Beaches Chorus, Coastal A Cappella Chorus and Alouette Quartet. 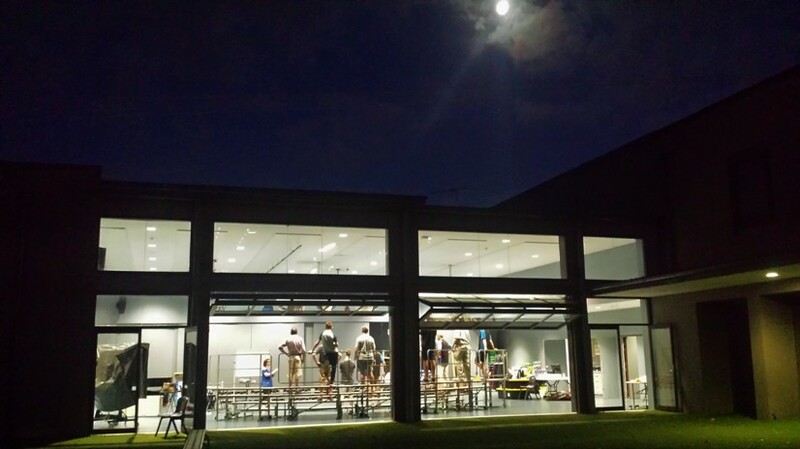 The Championship will be held at the John Vallance Hall, Sydney Grammar School on Sunday 24th June, starting at 3pm. BHA Eastern Region Contest Success! 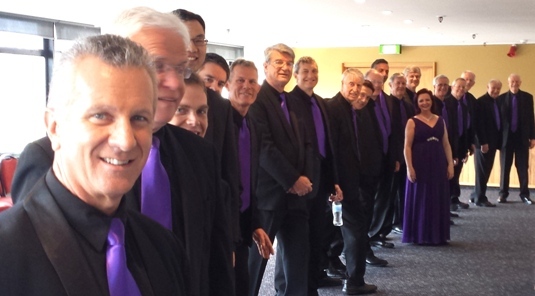 What an awesome day we had on Saturday at the Barbershop Harmony Australia Eastern Region contest! A win for us in the Chorus comp...our Assistant MD Gareth Hearne's quartet Helix won the Open Quartet contest and Roaming, our brand new foursome, came equal 3rd. Well done guys and congratulations to everyone involved! It's 2018 and We're Back! 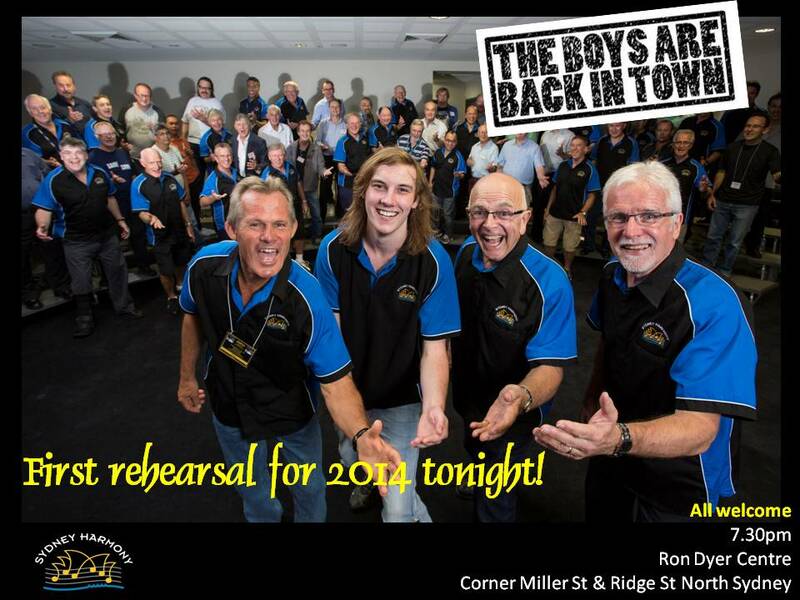 We're back rehearsing again and looking forward to another memorable year full of great music! 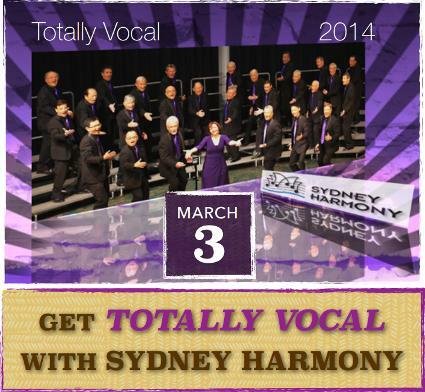 • We're presenting "Totally Vocal", a 5-week harmony course for men starting from 5th March. Full details on our Totally Vocal page. 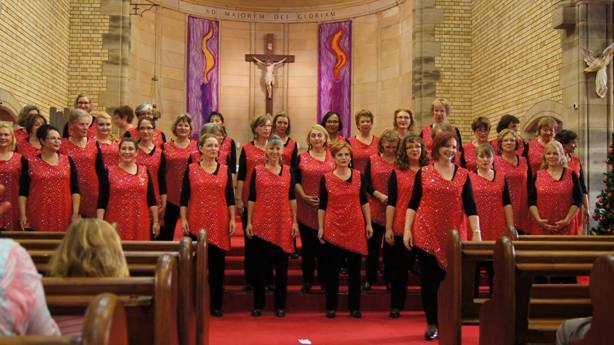 • We'll be competing at the BHA Eastern Region Chorus Contest in May and also in the Sydney Eisteddfod in June. • We'll be presenting our own Christmas-themed concert in December! 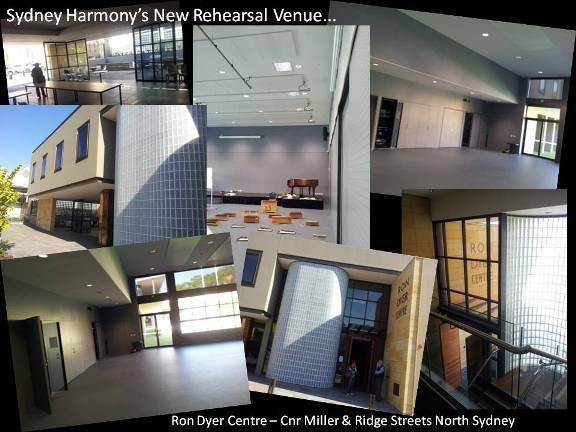 You're always welcome to visit one of our rehearsals at the Ron Dyer Centre in North Sydney. 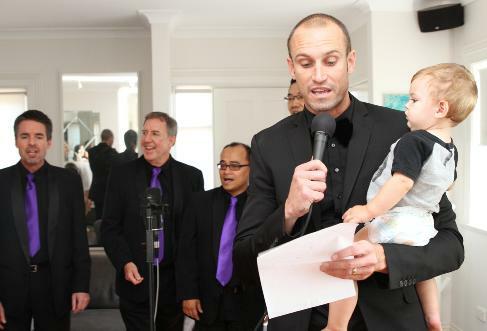 Give Gareth a call 0404 692 060, send an email to info@sydneyharmony.com.au or just drop by! Barbershopper of the Year and V.I.P Award Winner! At our recent 2017 Annual Awards Night Dinner, our President Jerry Harris was pleased to announce that Warren Lewis had been chosen as the recipient of the "2017 Steve Ferrick Barbershopper of the Year" award. 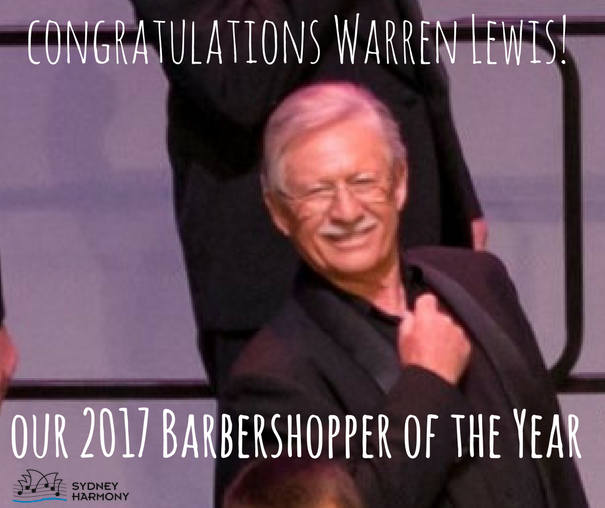 Warren stood out as the clear winner for all the work he has done for Sydney Harmony, and indeed the entire national barbershop community, by successfully chairing the 2017 Pan Pacific Barbershop Convention organising committee. A great big thank you from all of us Wazza! The "2017 Vocally Improved Performer (V.I.P.)" 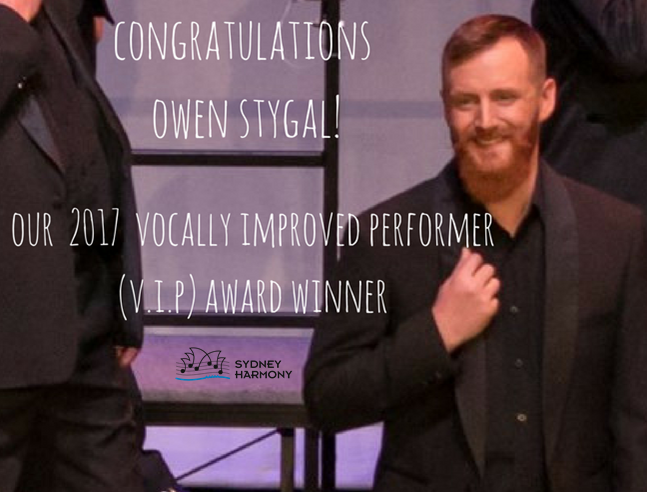 award, which is selected by our Musical Director Vicki Dwyer and members of our Music Team, went to our star of the Lead section, Owen Stygal, for his outstanding musical contributions to the ensemble. Congratulations Ned! 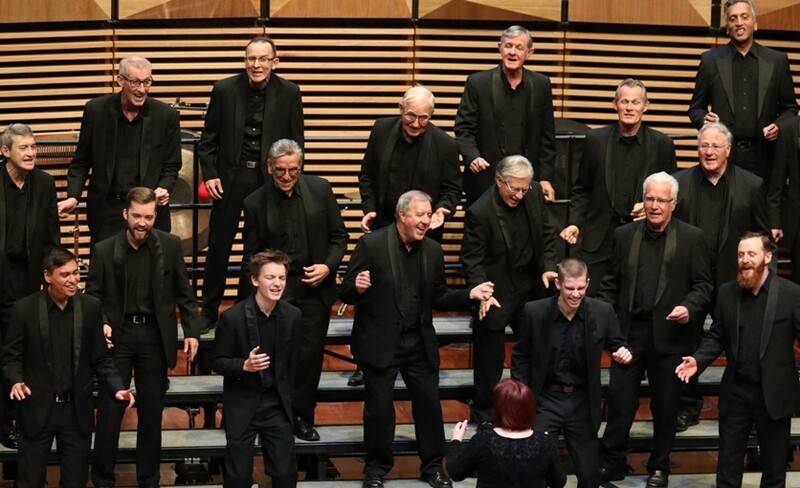 We are thrilled to have placed 5th in the Barbershop Harmony Australia National Open Chorus contest, part of the 2017 Pan Pacific Barbershop Convention which was held at the sensational Sydney International Convention Centre in late September. Thanks to all our supporters for giving our performance such a warm hometown reception! Join us over two consecutive Monday nights in June for a FREE harmony masterclass, presented by our accomplished music educators - Musical Director Vicki Dwyer and Assistant MD Gareth Hearne. Whether you're a singer of great experience or even if you've had no formal musical background - if you love to sing, then you're invited. 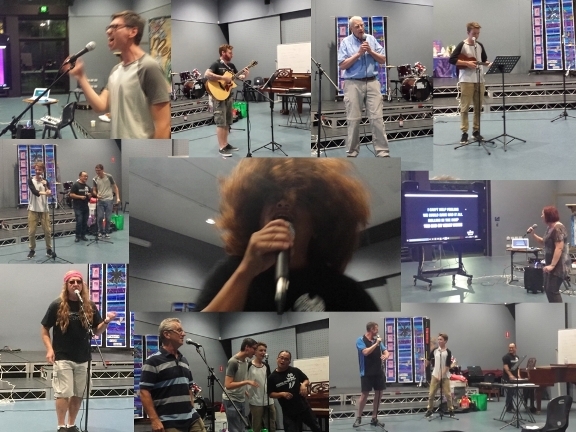 Each Monday night during our rehearsal we do some really fun stuff. Learning a new Tag is one of our favourite things! Last week our Assistant Musical Director Gareth taught us the sweet tag to Ed Sheeran's "Thinking Out Loud". Cool. Final Rehearsal Fun Night for 2016! 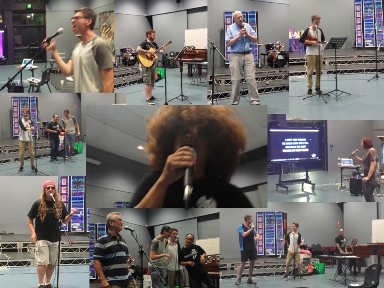 The final chorus rehearsal for the year - our traditional Kamikaze Karaoke/No Talent Night - went off big time on Monday night. Great fun was had by all as we let our hair down, partied and entertained ourselves. Happy Christmas everyone! See you in 2017! More Singing On The Bridge! 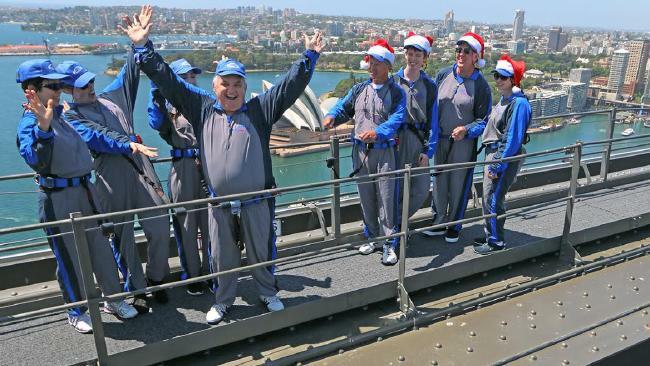 Once again a quartet of singers from the chorus has been asked to perform on top of the Sydney Harbour Bridge for BridgeClimb Sydney. This time Alter Ego were up there to deliver a special early Christmas surprise gift for a formerly homeless man whose longtime dream has been to one day reach the top of the Bridge. It was a very heartwarming and emotional day for all involved. 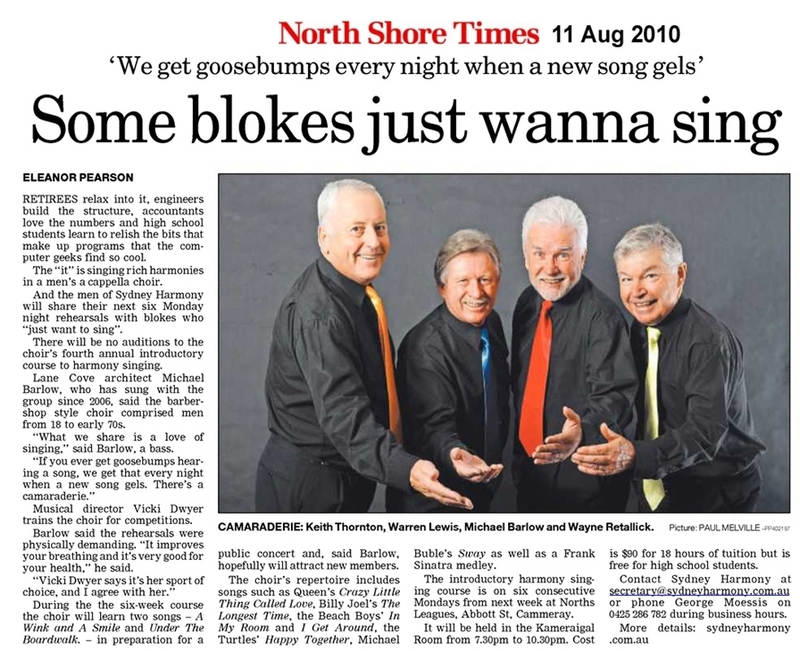 The Daily Telegraph published the story, along with a great video featuring our quartet singing some carols. Check it out here! 4th Place at BHA Nationals & Top 10 Quartet! 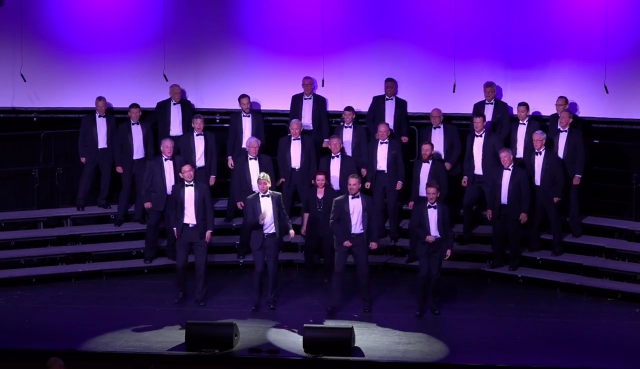 Barbershop Harmony Australia National Convention, held last weekend in Newcastle. came 10th in the Open Quartet Contest Final! Thanks to everyone on the team, to all our supporters and especially to our MD Vicki Dwyer. Awesome performances and fantastic results! 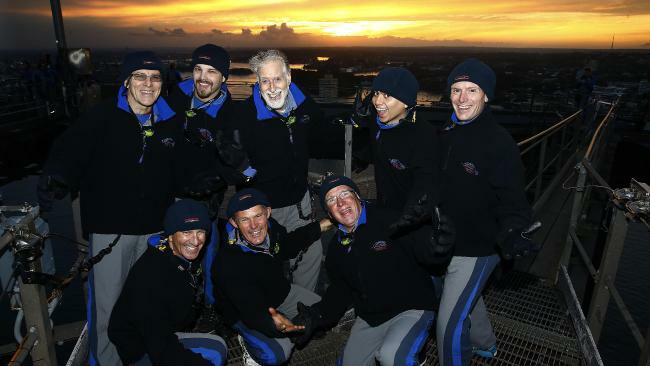 Throughout July, groups of Sydney Harmony singers entertained climbers at the top of the Sydney Harbour Bridge each Sunday afternoon as part of a special series of "Sunset Sessions" provided by BridgeClimb Sydney. 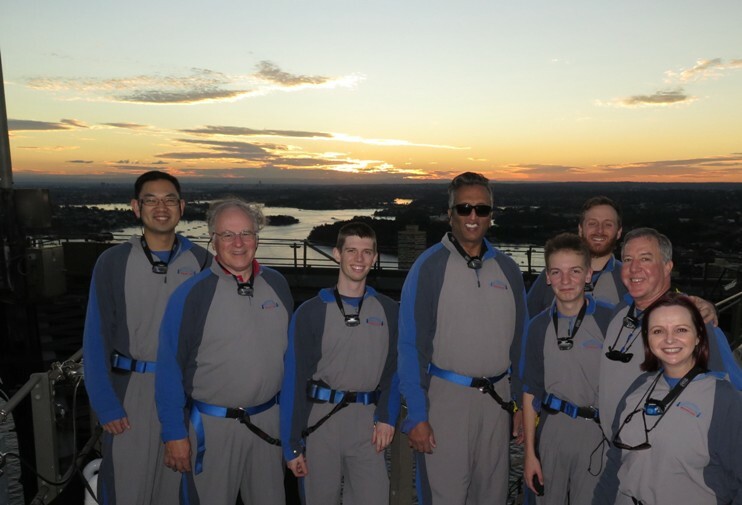 This unique collaboration with the world famous tourist icon saw our guys serenading climbers with cool barbershop sounds as they took in the exhilarating views of our beautiful city at twilight. Over the five weeks we were thankfully blessed with fine clear weather and everyone had a wonderful and memorable time! 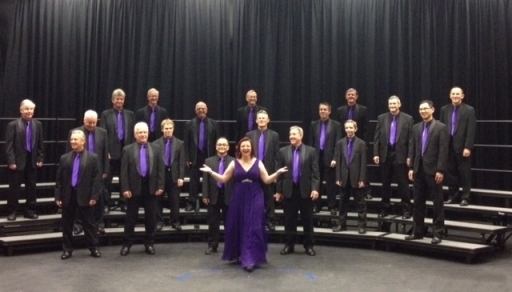 We are extremely thrilled with our win in Saturday's Barbershop Harmony Australia Eastern Region contest. Special congratulations to our novice quartet Pitch Please who scored 3rd Place Bronze in the Open Quartet contest and to our MD Vicki Dwyer and her quartet Alouette on winning the women's Invitational division! Things are looking good for the BHA National Convention in Newcastle coming up this September. 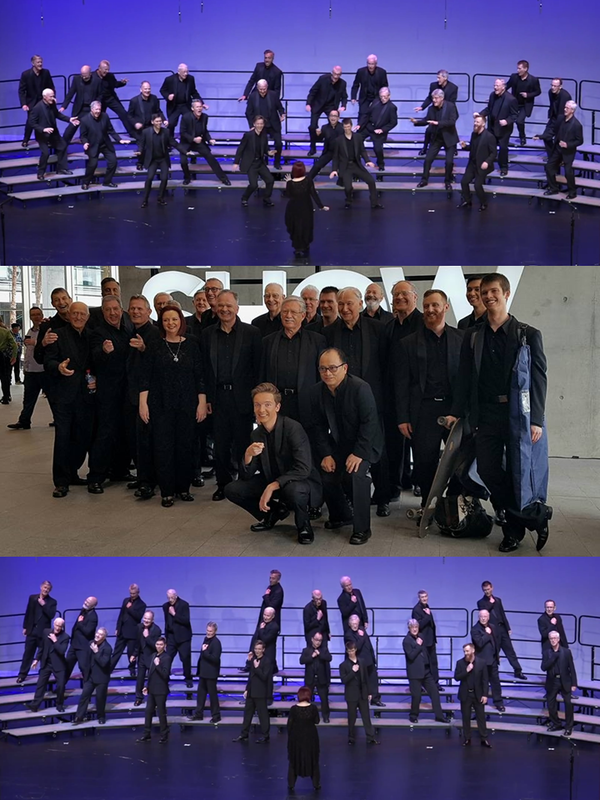 We had so much fun performing for the enthusiastic audience at the "Sing It Sydney" concert celebrating World Voice Day on Sunday 17th April. 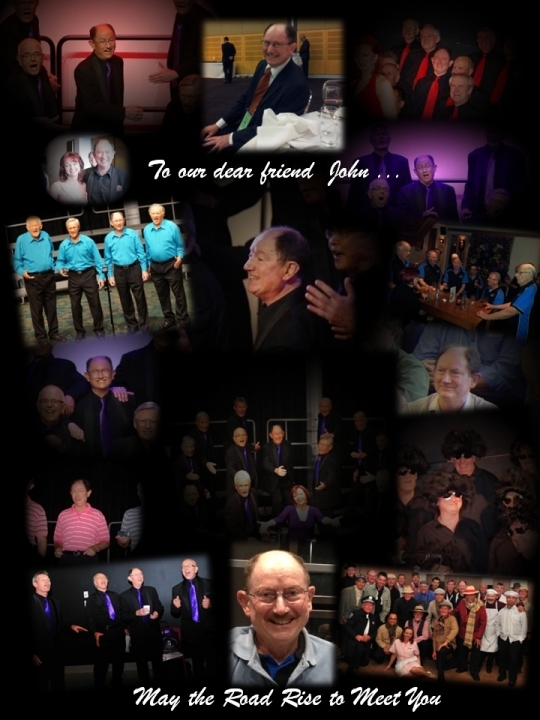 Thanks to everyone at the Australian Dysphonia Network, the Australian Voice Association and to all the other splendid performers for making it a truly memorable event. Being able to contribute to such a worthy cause while singing alongside such talented performers as Melinda Schneider, Adam Scicluna, Monique Montez and Keith Scott was simply awesome! 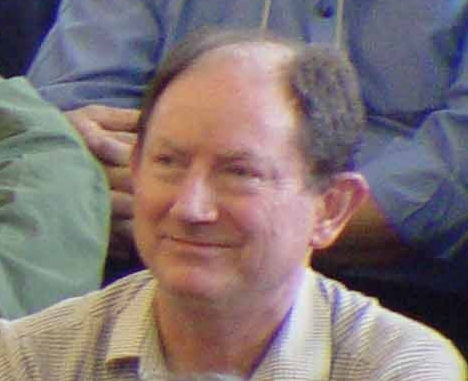 Special thanks to Sheridan Gaudry, Louise Bale and all the team at World Voice Day Australia for the opportunity. Our phenomenal Musical Director Vicki Dwyer has been with us for 10 wonderful years! We can't wait for the next decade... and beyond. Thank you Vicki! Love is in the air! 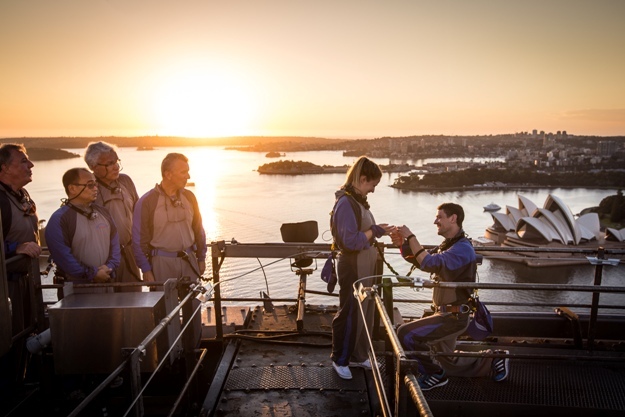 As dawn broke over Sydney, we surprised our Climbers with a Barbershop Quartet - as Paul popped the question to Stephanie AND Karen got down on one knew to Andrew as well! Happy Valentine's Day! 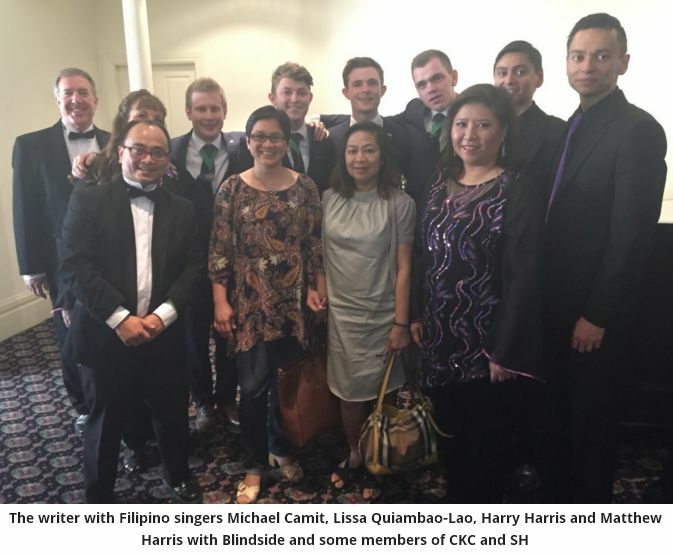 Great article posted on the Filipino Australian Community Blogs by Bambi Manlulo, reviewing our Holiday Voices concert and featuring the contributions of some of our awesome members! Thanks to everyone who supported our efforts to perform, foster, encourage and promote singing by purchasing tickets in this raffle. Merry Christmas and a happy New Year to you and your families. We hope to see at our next performance in 2016. 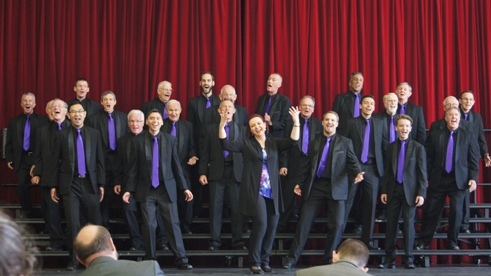 "A stellar showcase of award winning a Capella and Barbershop chorales"
"A wonderful show with their very polished a cappella"
6th Place at BHA National Convention! 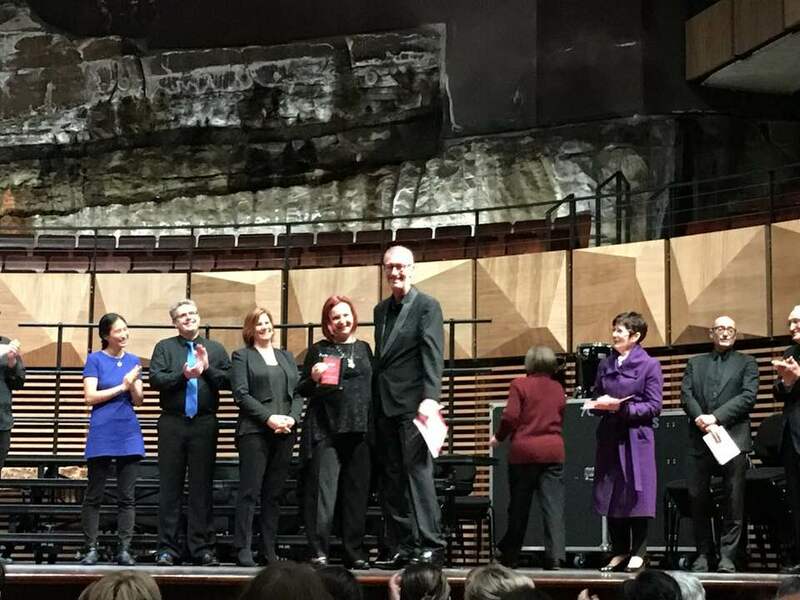 In what was probably the most fun we've ever had on a contest stage, Sydney Harmony placed 6th in the highly contested Open Chorus division of the 2015 BHA National Convention, held at the beautiful Hamer Hall in Melbourne on September 19th. The performance also earned us 3rd Place in the National Medium-size Chorus contest. We are delighted with the result! 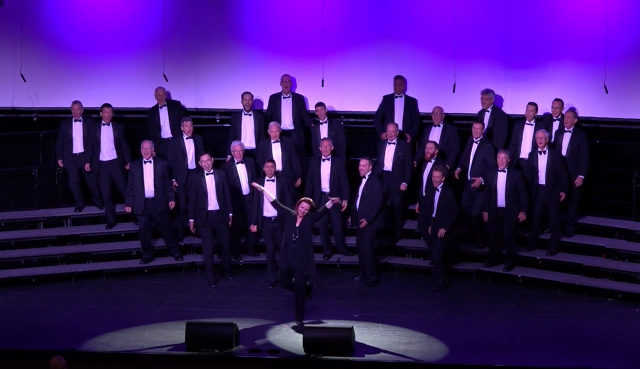 Sydney Harmony's performance is in "Chorus Contest Session 2" from 38:40 minutes in. 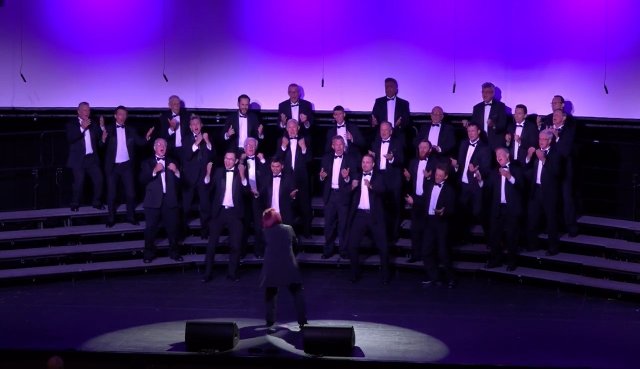 Barbershop National Contest Free Webcast Archived to View! 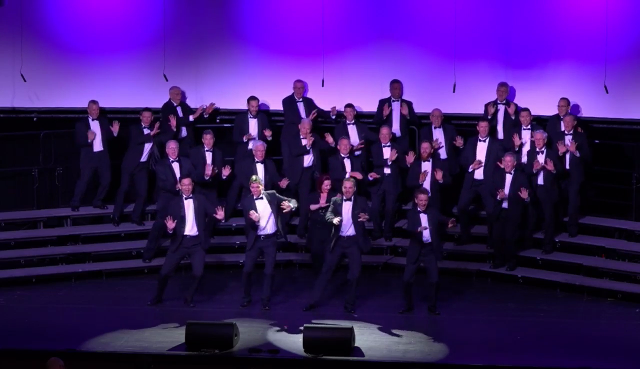 Barbershop Harmony Australia has made available the entire webcast of all the Contest sessions AND the Saturday Night Showcase from last week's National Convention, which took place in the sensational Hamer Hall in Melbourne, for FREE! Go to the webcast page on the BHA website to watch all the action and enjoy the music! Be sure to watch Sydney Harmony - our National 6th Place performance is archived in "Chorus Contest Session 2" (from the 38:40 minute mark into the session). 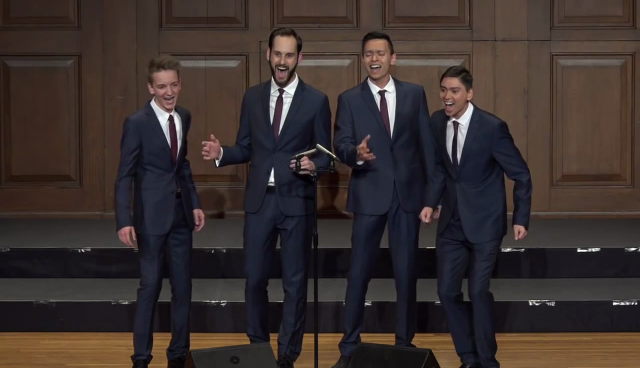 Quartet does "Barber Pop" on Breakfast radio! 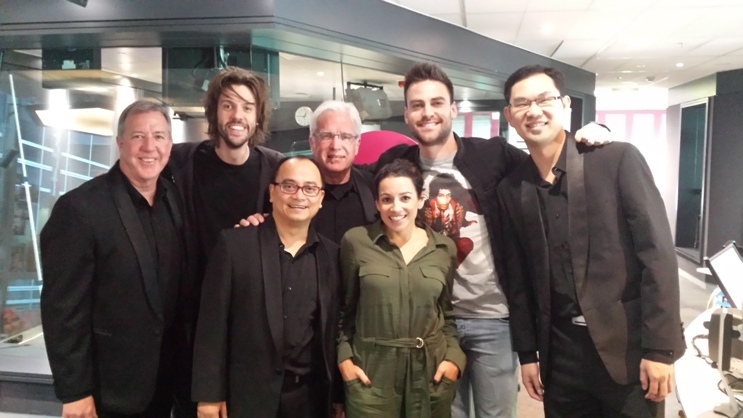 Our guys from Collateral Damage Quartet (Tony, Michael & Dennis, with Mike B stepping in on Bass) sang as part of a musical send-up segment on 2Day FM's breakfast spot, "the Dan & Maz Show" on Tuesday morning. First singing a more traditional treatment of a Beatles song, the boys made a real hit with the hosts when they sang their barbershop arrangement of the Katy Perry hit "I Kissed A Girl". Check out the YouTube clip. Way to go guys! Once again coach extraordinaire Matt Gifford has worked tirelessly with us over a weekend, leaving us bursting with energy and new ideas while helping us fine-tune our performance plan for the upcoming BHA National Convention in Melbourne. Thank you so much Matt for adding the magic! 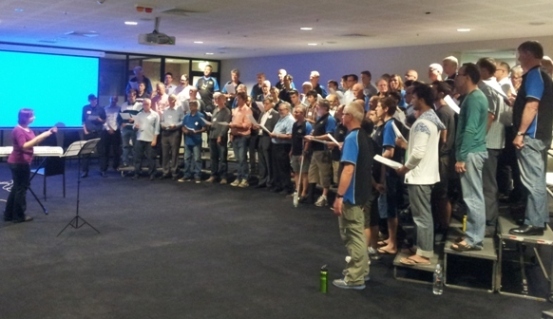 A large contingent from Sydney Harmony, led by our MD Vicki Dwyer, participated with other barbershoppers from Eastern Region in the Barbershop Harmony Australia Singers & Directors Workshop - held on the 5th & 6th June at our rehearsal venue, the Ron Dyer Centre. 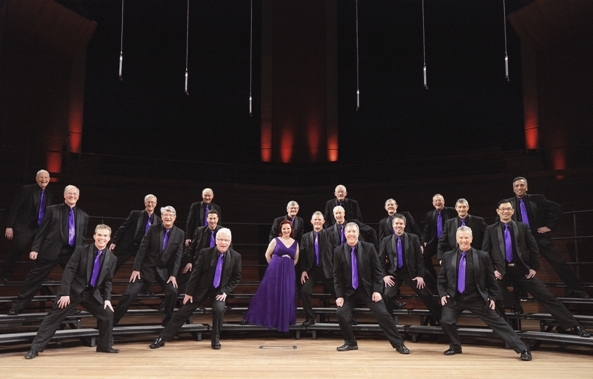 The expert international faculty was comprised of one of the Barbershop Harmony Society's leading Director trainers, Dr Don Campbell (USA) and Barbershop Harmony New Zealand's head of Education, Jill Rodgers. What a great learning opportunity and such a good time we had over those two days! Sydney Harmony Wins BHA Eastern Region Contest! 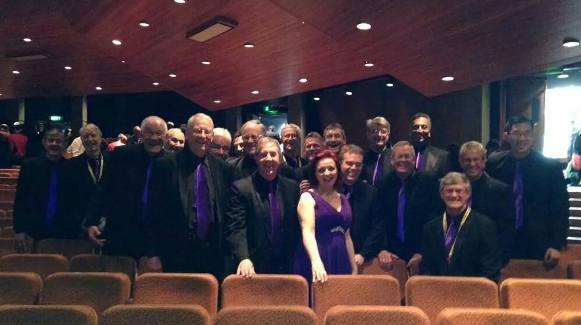 We are so excited to have won the 2015 Barbershop Harmony Australia Eastern Region Chorus contest! 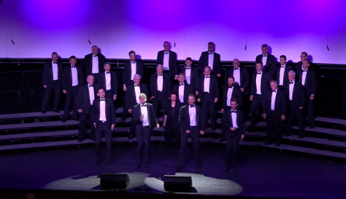 The competition this year was particularly fierce, with the 2nd placed Canberra Chordsmen putting on a fabulous display to come within just 2.5 percentage points of our final score. Our recently-formed quartet, Collateral Damage, had success in the Open Quartet division, coming away with the Bronze medal. Well done guys! 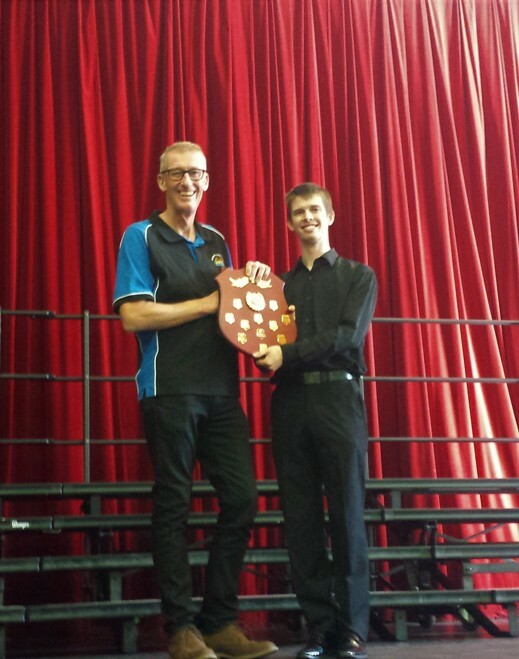 AMD Guy Gibson and VP Music Tony Sykes hold the winning Chorus shield with the quartet winners. MUSICAL ISLAND BOYS IN SYDNEY! 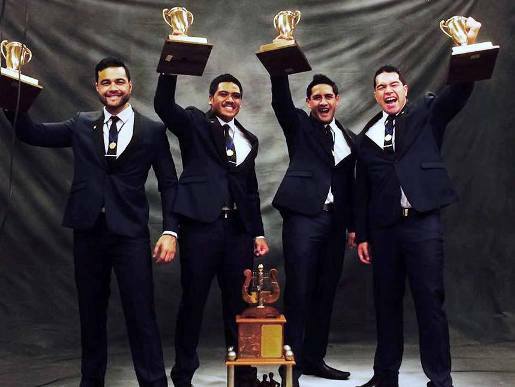 Musical Island Boys - the current Barbershop Harmony Society International Champion quartet - will be performing in Sydney on the evening of Saturday 2nd May! 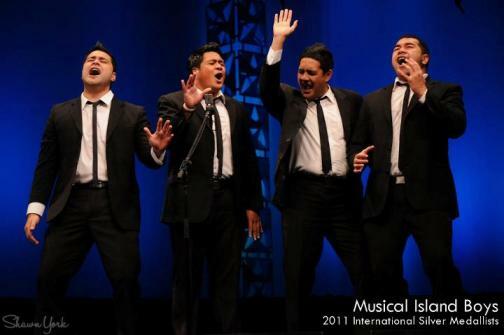 The sensational New Zealand foursome wowed the audience and judges in Las Vegas last July to claim the coveted world title and become the 2014 Gold medalist quartet. 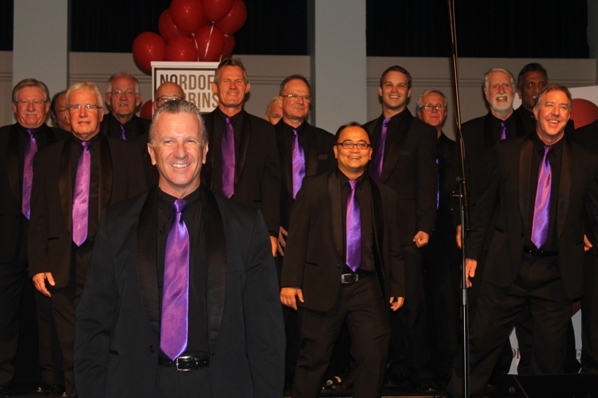 MIB will headline the Harmony Showcase of Champions which is being held in Leslie Hall at Barker College, Hornsby. 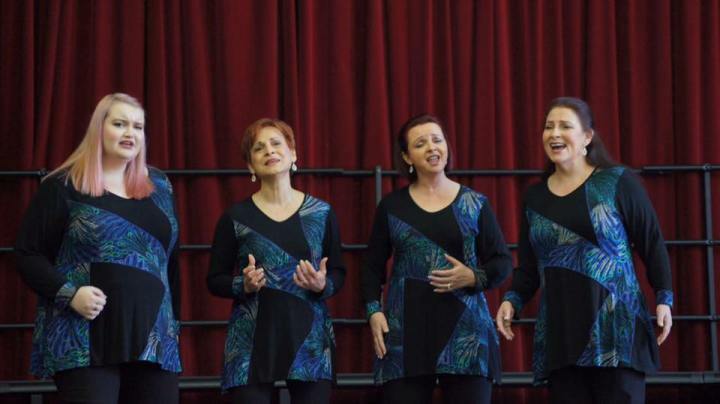 All the BHA Eastern Region quartet and chorus winners from the contest held earlier that day, plus the 2014 Sweet Adelines Australia Champion Endeavour Chorus will also be performing on the concert. This is a show not to be missed! Further details and a link to purchasing tickets online can be found here on our Events page. 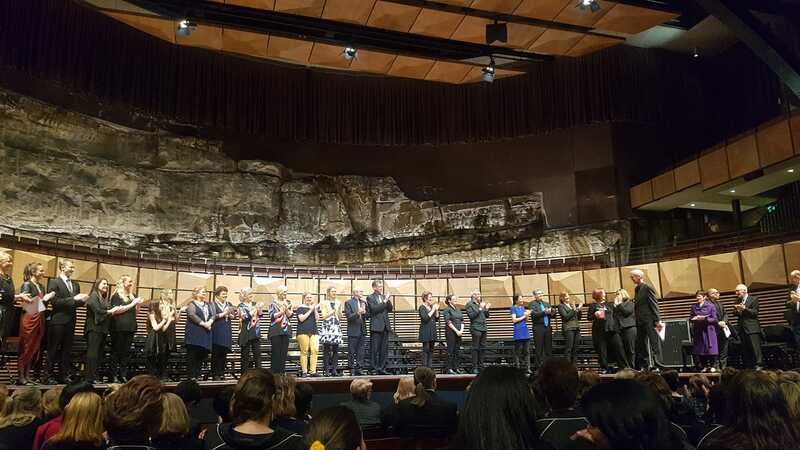 It was a privilege performing on the "Sing-it-Sydney" concert to help celebrate World Voice Day, held April 12th at the Paddington Town Hall. Thank you WVD Australia for the invitation! Festival on Tuesday 3rd March. Here are a couple of pics of us rehearsing backstage. 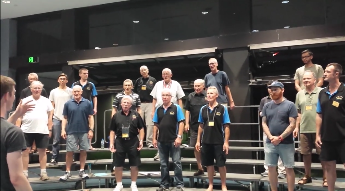 The crew of chorus guys who were attending the Eastern Region Harmony College at Myuna Bay last weekend surprised a member of the audience at the concert which was held the Saturday night at the Wangi Wangi Workers club. The lovely lady in the front row turned out to be our musical director Vicki Dwyer's Aunty Janet! Small world indeed! 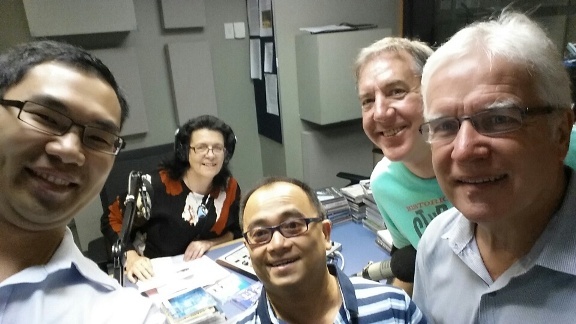 Four of our guys - Dennis Ho, Michael Camit, Mike Barlow and Tony Sykes - performed on the Fine Music 102.5 Breakfast Show with presenter Julie Simonds last Tuesday. The live radio spot was to help promote the Short + Sweet Voices festival which we are performing in next week and the 15 minutes of airtime was a great promo for Sydney Harmony. Well done guys! 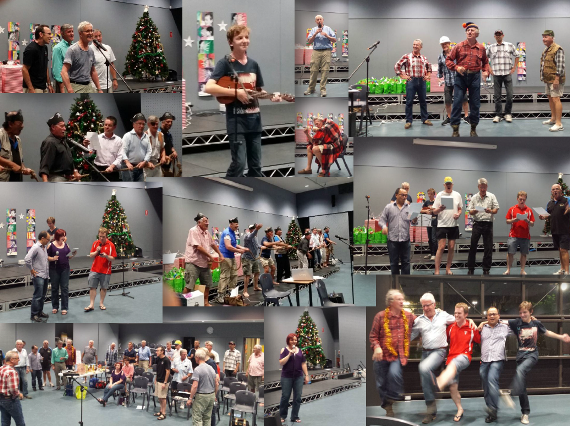 Another fun time was had at our traditional "No Talent Night", held on our final rehearsal evening for the year. Hope to see you in 2015! 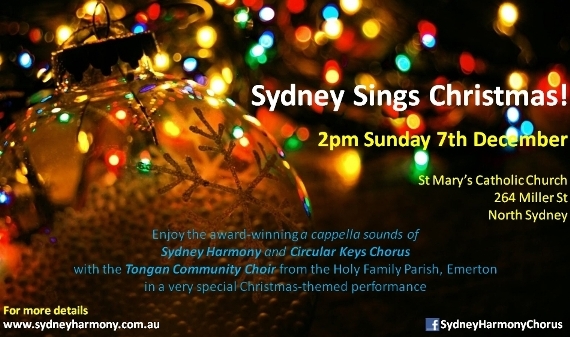 What a fabulous event the Sydney Sings Christmas! 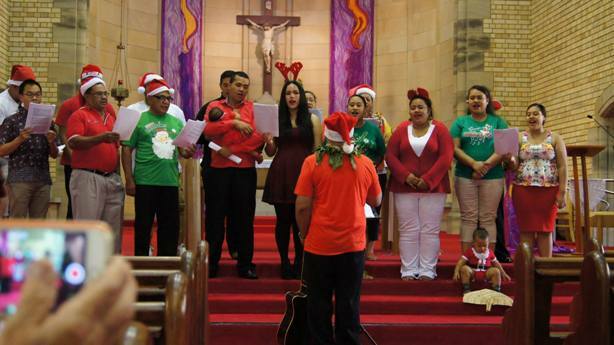 concert at St Mary's Catholic Church, North Sydney turned out to be! Family Parish, Emerton for joining us in song and sharing your awesome talents. Parishes of Our Lady of the Way for your support. Join us for this special performance. 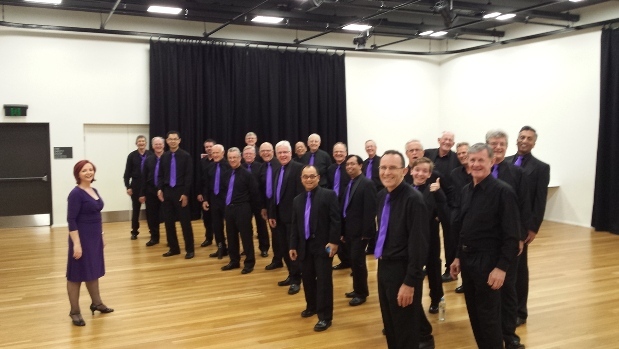 The Sydney Harmony Pan Pac Crew- Official photo taken on stage after our performance at the Michael Fowler Centre, Wellington New Zealand, 16th August 2014. 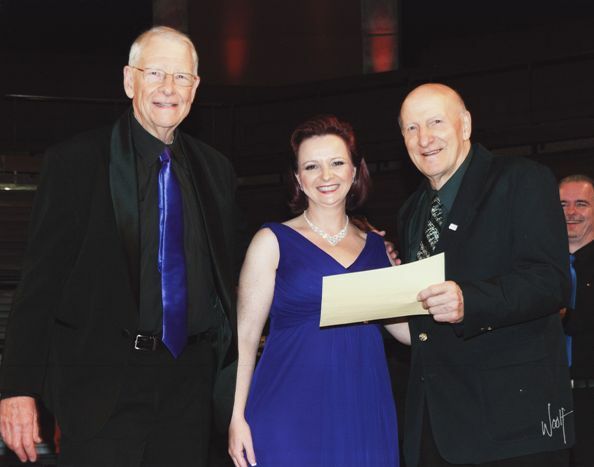 Our MD Vicki Dwyer and President David Ojerholm receiving the Best Small Chorus Award from the NZABS President. The Pan Pacific and NZABS chorus winners at the awards presentation. 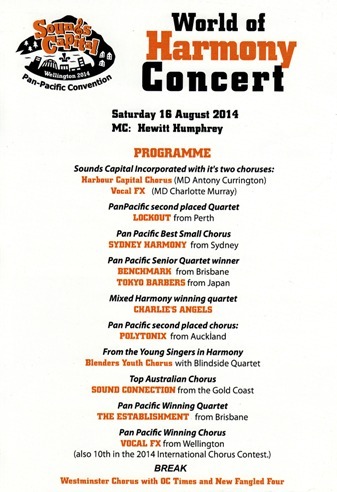 The Programme from The World of Harmony Showcase on the Saturday night. Great company to be singing with! 2014 Eastern Region Contest Champions! 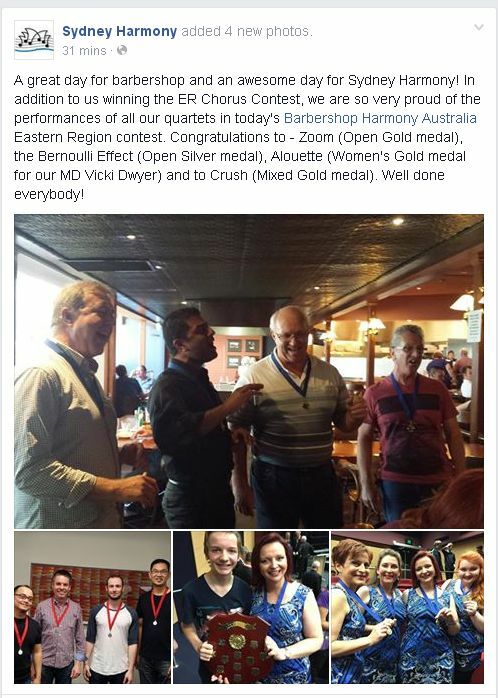 A great day for the local barbershop scene and an awesome day for Sydney Harmony! Our MD Vicki Dwyer and VP Music Tony Sykes were nominated by New Zealand barbershopper Gary Wright to take the MND Ice Bucket Challenge and had a lot of fun doing it! Go to www.mndaust.asn.au to find out more and to donate to this worthy cause. Check out their challenge on YouTube. 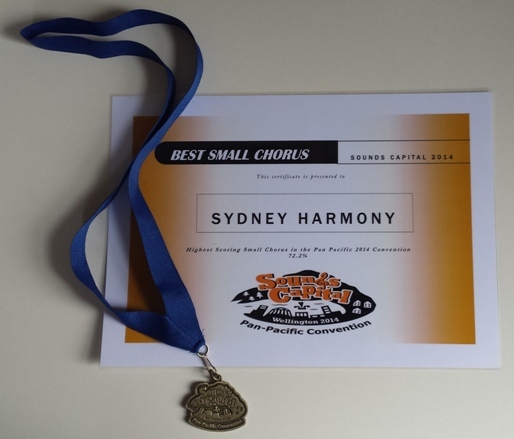 2014 Pan Pacific Small Chorus Champion! 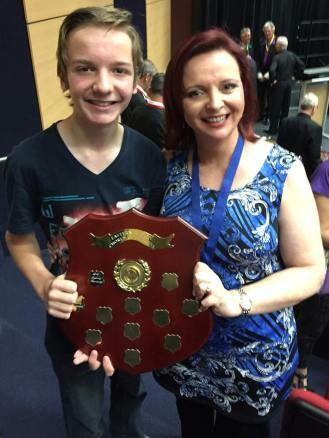 We are thrilled and proud to have received the award of 2014 Pan Pacific Small Chorus Champion at the Sounds Capital Pan Pacific Harmony Convention held in Wellington, New Zealand on 16th August. 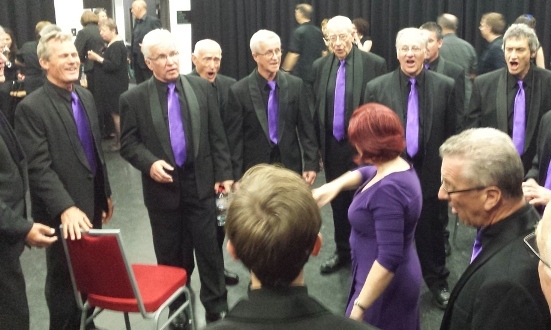 Congratulations to our guys that sang, to our Music Team and especially to our wonderful MD, Vicki Dwyer. Well done team! This article has also been submitted to the editor of BHA's "In Harmony Newsletter". 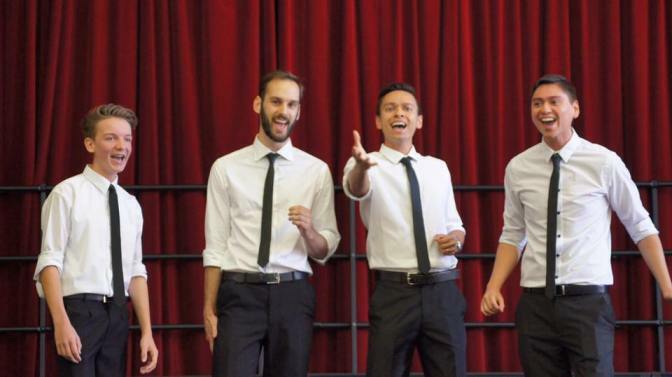 Huge congratulations to the Musical Island Boys - and in particular to our coach, teacher and friend, Matt Gifford - on winning the 2014 BHS International Quartet Championship last weekend in Las Vegas! 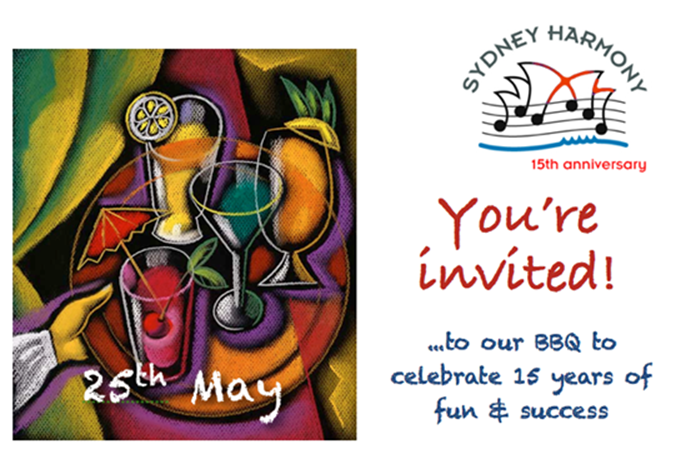 Sydney Harmony is celebrating 15 years of singing on SUNDAY 25th May with a big BBQ party at our rehearsal venue! If you're a former member or a friend of the chorus, drop by the Ron Dyer Centre, cnr Miller & Ridge Sts North Sydney between 11.30am and 3pm and join us! Join us for our first Trivia Night this year! A quartet from Sydney Harmony is part of the surprise! 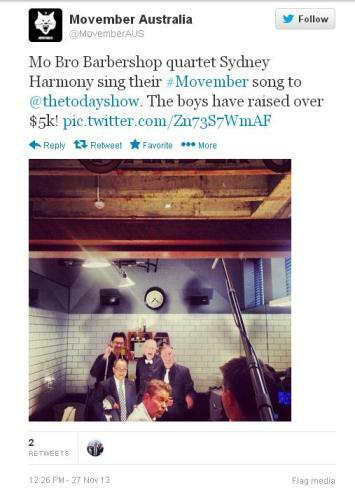 Sydney Harmony Mo Team on the Today Show! Barbershopper + Moustache = Perfect harMOny! It's Movember! 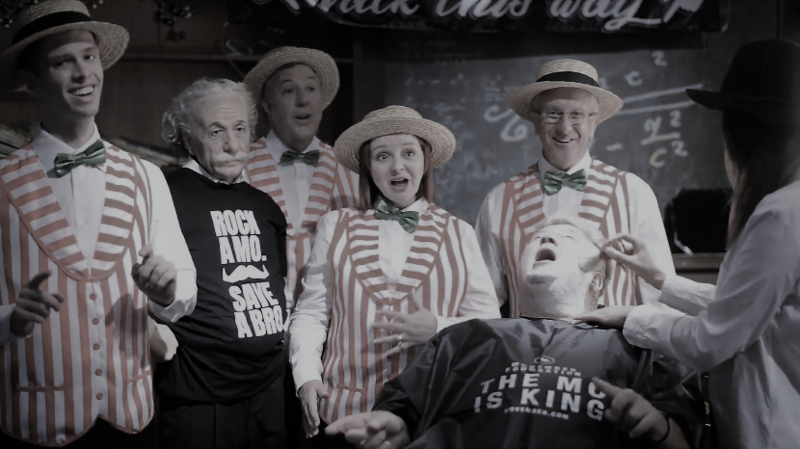 - and what better time than now to celebrate the intrinsic relationship between barbershoppers and the moustache? 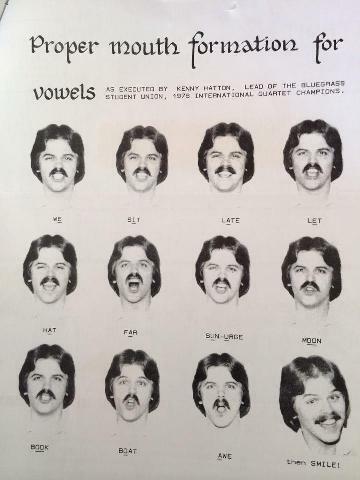 In this vintage poster, Kenny Hatton - Lead of the 1978 International champion quartet Bluegrass Student Union - shows how to form "proper vowel shapes" (circa 1980).....AND how to wear a mean mo'! (kiddies - Do not attempt this at home!). 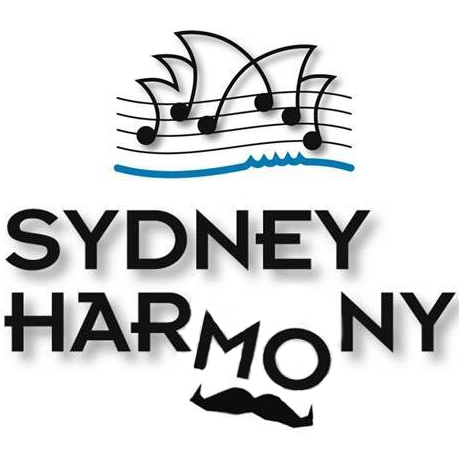 If you'd like to support the Movember charities benefiting various Men's health programs, donations are welcome via the Sydney Harmony Mo Team page:http://moteam.co/sydney-harmony Thanks for helping us keep the MO in harMOny! 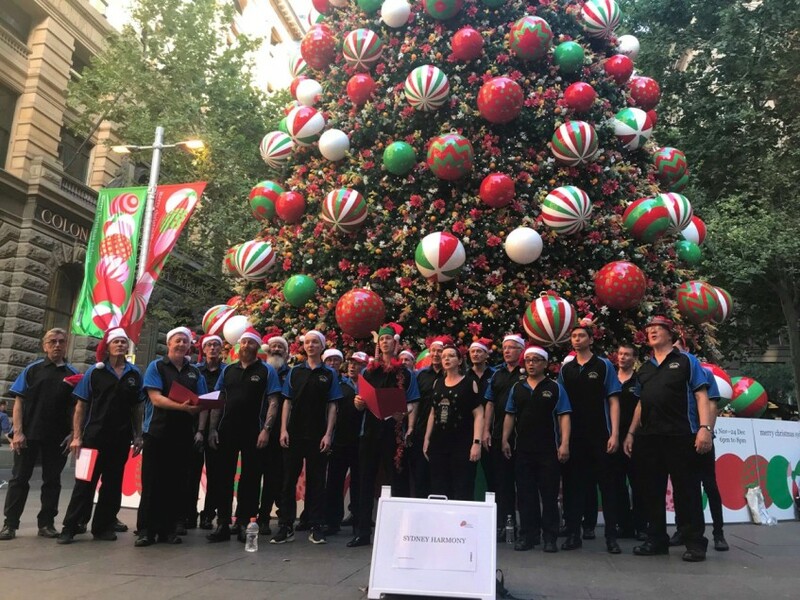 Sydney Harmony is proud to be lending support to the Movember movement this month - helping to raise awareness of Men's health issues by promoting the positive physical and mental health benefits of community singing. Funds raised during Movember go towards research and treatment of Prostate & Testicular Cancer and into developing Mental Health programs for men. If you'd like to donate to the worthy Movember cause, head to our Mo Team page:http://moteam.co/sydney-harmony Thanks! 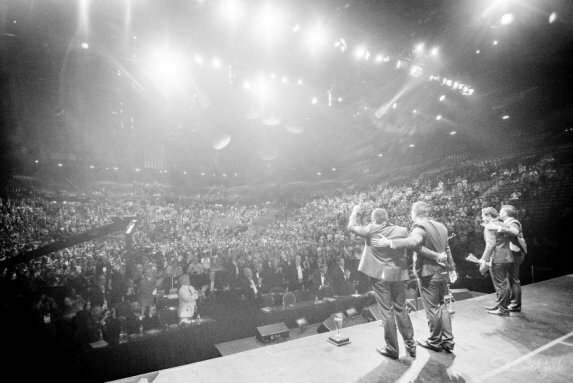 Perth 2013: What a great Convention! 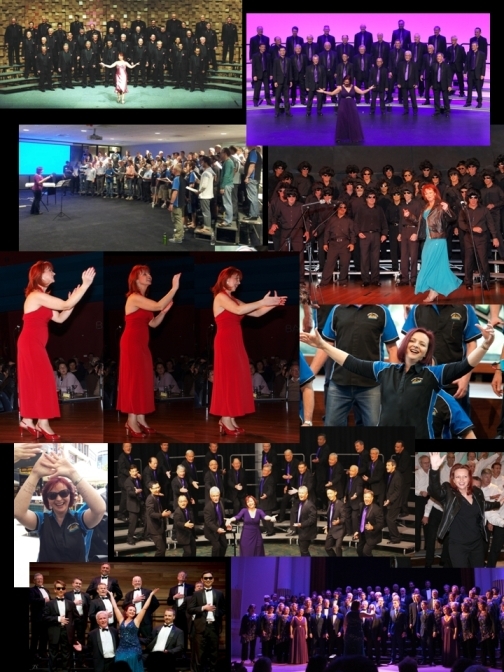 What a great week of barbershop we've all just enjoyed with the Perth Convention and Harmony College! 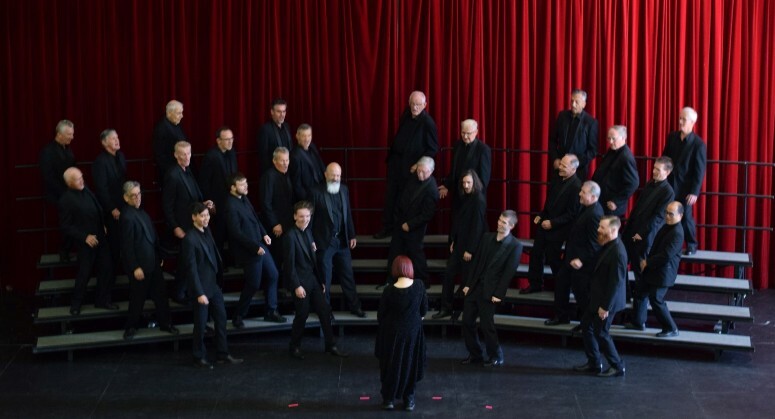 Congratulations to all the quartets who performed last week and to our fellow competitors in the Chorus contest - particularly the 2013 champions Vocal Evolution - and the other medalists, the Festival Statesmen and Sound Connection. 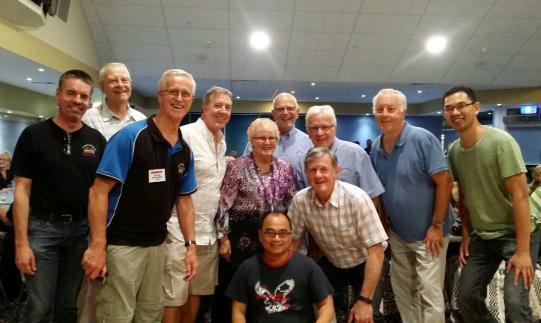 A big "thank you" to the Perth 2013 Convention Committee, Vocal Evolution and Barbershop Harmony Australia for putting on such a memorable, well-organised and enjoyable Convention and Harmony College. In terms of total points awarded, Sydney Harmony's score of 70.4% av - earned in the toughest BHA competition ever - is our best national contest result since 2005! Thank you to all our friends, family and fans who came to support us on Sunday at our Perth Preview Show. It was so good to perform to a full house! Great performances from all the Eastern Region quartets and our special guests Circular Keys Chorus made for a truly memorable day. We just had an amazing weekend of coaching with the very talented Matt Gifford - Bass of the 2013 BHS International Silver Medalist quartet Musical Island Boys and all-round barbershop good guy! 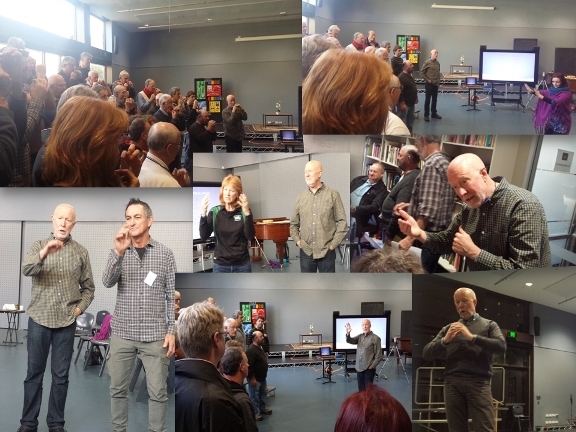 In collaboration with our MD Vicki Dwyer, Matt worked extremely hard with the chorus over the three sessions to help perfect the interp and our vocal delivery of the contest songs we are taking to Perth for the BHA National Convention in October. We are starting to get excited now! Matt Gifford to coach Sydney Harmony! Excited we will be having our good friend Matt Gifford, the awesome bass from 2013 International Silver medalist quartet Musical Island Boys, coaching us next week! Can't wait! We have found a NEW REHEARSAL VENUE!!!! (behind St Mary's church - access via the Ridge Street entrance/driveway). COME AND VISIT US AT OUR NEW HOME! or call Paul Meller (m) 0419 635 537 and we'll pass on any information you may require. 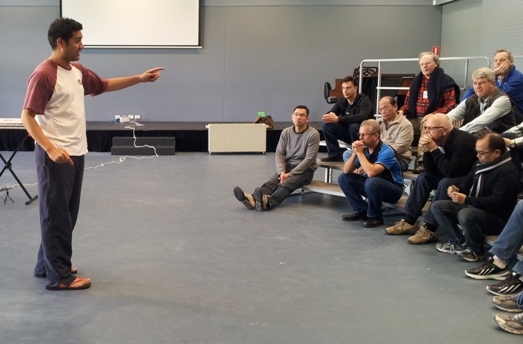 The REAL MEN SING course is ON!! 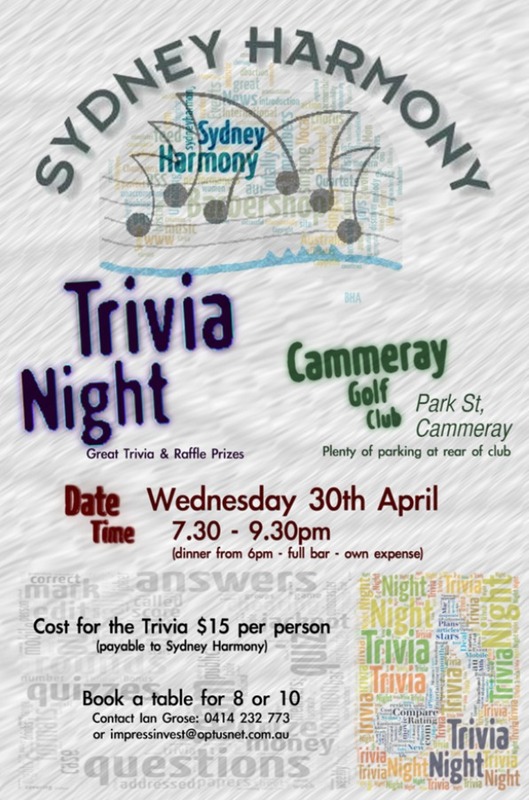 Come along to Souths On Chalmers on Monday nights from 7.30pm between February 25th and April 8th to take advantage of this great FREE singing initiative - run by Sydney Harmony and sponsored by City of Sydney Council. Sign up to receive our latest news and event postings. Sydney Harmony is committed to protecting your personal data and will use any personal or sensitive data we collect from you. In Europe, this is in line with the General Data Protection Regulations (GDPR). Sydney Harmony collects data from individuals to help us plan, organise and run the day-to-day operations of the group (e.g. co-ordinating rehearsals or collecting subscription payments) and to promote and market the group’s activities (e.g. marketing mailing lists and photography/video capture). This data will be used by our admin team to manage your membership with Sydney Harmony and to organise and run our activities. When you sign-up to our marketing mailing list we will ask for your email address and will use this data to send you information about our events and activities (e.g. upcoming events, latest news, etc). 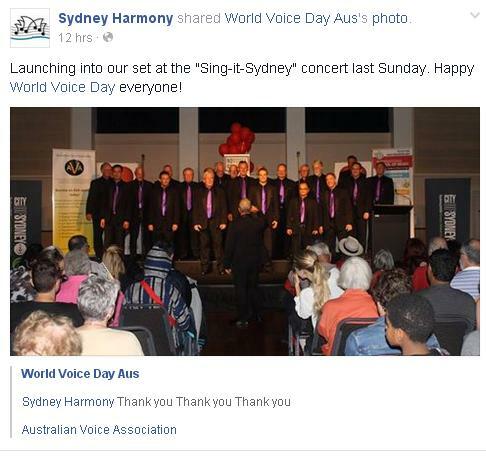 We will only send you information that is related to Sydney Harmony. (i.e. we will not use your data to send you marketing messages from 3rd parties). If you purchase an event ticket, or Sydney Harmony merchandise, or make a donation, we need to collect data on the person making the purchase. This data will only be used for administering your booking/purchase/donation, and will not be used to send you marketing/promotional messages from the group. The Sydney Harmony data retention policy is to review all data held on individuals at least every two years and remove data where we no longer have a legitimate reason to keep it.